What to Do When Accidentally Deleted Music App on iPhone? I must admit, it feels a bit silly to actually delete your iPhone stock Music app, but then again who am I kidding? I mean mistakes happen! If you’re an ardent music lover like I am, you’ll quickly come to terms with me that nothing beats that “out of this world” feeling you get when you tap the play button on your iPhone to listen to those soothing lyrics from your favorite songs. It is even said that music helps clear the mind and also helps alleviate stress. As soon as the iOS 11 update was rolled out by Apple, lots of users kept complaining about their apps missing from their home screen. This update also came with an amazing, yet detrimental feature; the option to delete stock Apple Apps from the home screen. Amazing because after that update I was finally able to delete a lot of apps I actually didn’t need at that time, probably to be re-installed at a later time who knows? And detrimental because we are bound to make mistakes and as everything in life every action has its consequence. Now, you have deleted music app on iPhone and wondering how to get music app back on iPhone? 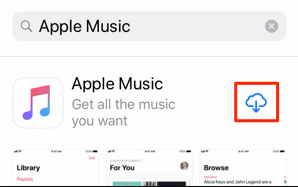 Were you trying out the new features and accidentally deleted music app from iPhone or it just disappeared after the update, we’ve got a way for you to get it back in no time. Read on to find out more. Step 1. Navigate to your App Store on your iPhone. Step 2. Launch the App Store. Step 3. Click on the Search button. Step 4. Type in the name of the app. In this case its “Apple Music”. Hit "Search". Step 5. 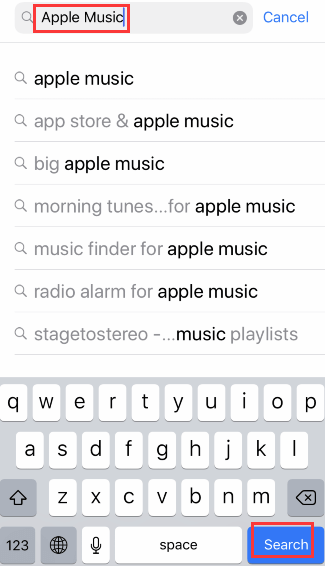 It will run a search and display your stock Apple Music app. Step 6. Hit the Download icon (a cloud with an arrow pointing down) next to the app name displayed in the search results. Step 7. The download process will begin and you’ll have your missing Music app restored to your iPhone. Step 8. Click "open" to open your restored Music app. This is where things start to actually get a little bit interesting. You just successfully got back your Music app right where it’s supposed to be and now you can’t find any of your music. Frustrating! I know right? You just finished fighting to get back your app and now this? Where do you even start from? Is there actually a way to get back all your lost music or do you have to start re-downloading them one by one? You’re not alone on this and that’s why we will be feeding you with sufficient details on how to go about this the right way. We are going to be using a computer software called iMyFone TunesMate. 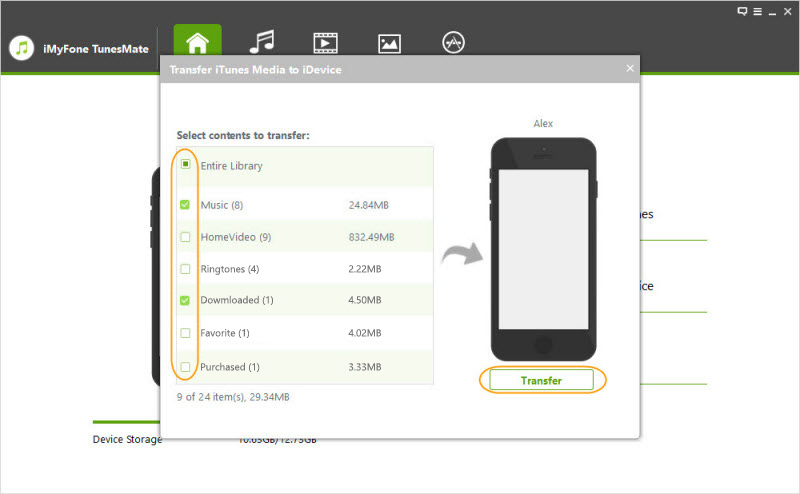 It is an advanced transfer tool and the perfect iTunes alternative for iOS users. This application is designed to help users recover their lost music from iTunes or computer the easy and fast way. With TunesMate, the days of iTunes limitations and errors are over as this tool conveniently bypasses every limitation and is error free. This tool will effectively manage all your media files. Recover deleted music from computer/iTunes, transfer iPhone music for easy backup, and restore iTunes music without iTunes. The software is designed to take the stress off your hands, keeping the process simple so you don’t get confused when recovering your music from iTunes. Allows you transfer iTunes music to iPhone. Allows you transfer both purchased and non-purchased songs between your iPhone and iTunes/computer. Allows you sync iTunes music to iPhone without wiping the original songs. Manage and transfer all kinds of media files like playlists, videos, audiobooks, photos, music, podcasts, etc. Easily backup and restore your entire music library. Step 1. Download iMyFone TunesMate iPhone Transfer tool and install it on your computer. Step 2. Launch the software. Step 3. Connect your iPhone to your computer with a USB cable. Step 5. It will then run a scan of all your media files and show them. Step 6. Check the music only and tap the "Transfer" button. The files on your iPhone are indeed very delicate and can be damaged or destroyed by Trojans, viruses, worms, or even you by accident. If you have ever deleted a music or a file on your iPhone by accident you should know what I mean. A software malfunction or a storage failure might cause loss of important data on your device and with no proper backup it could be very disastrous. It is very crucial that as an iOS user you do regular backups to avert loss of data. Interestingly, iMyFone TunesMate provides you that luxury. 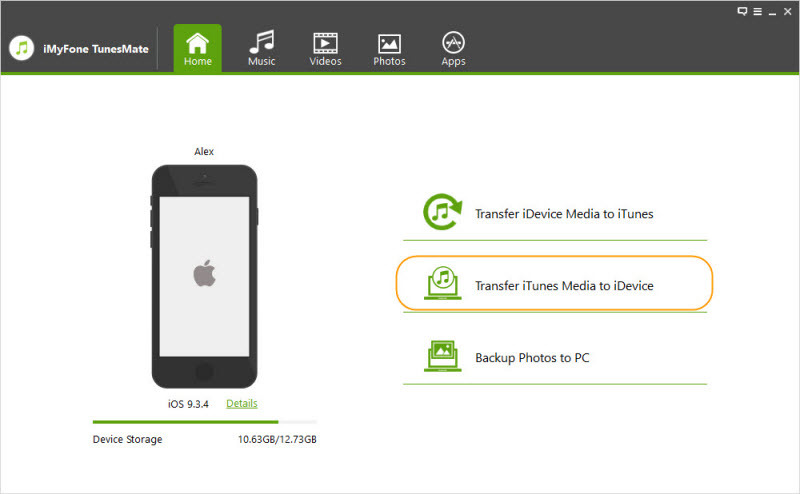 You can easily perform a backup of your iPhone in less than 5 minutes with this powerful app. With it, you won't worry about losing music files when accidentally deleted music app from iPhone. Make sure you do that backup today to iTunes or computer and later you can restore them whenever you want.